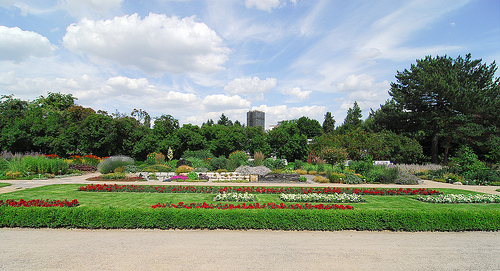 The Berlin Botanical Gardens are over 120 acres in size, and host at least 22,000 different plant species. One part is the Arboretum and taxonomy section, which has all sorts of woody and herbaceous plants. The greenhouse part of these gardens has 16 different houses that offer visitors an insight into subtropical and tropical vegetation. All of the different greenhouses exhibit plants of their prospective climates. This place also holds rotating exhibits, such as orchid shows. The Botanical Museum is located in these gardens as well, for anyone interested in the scientific matter related to these plants. 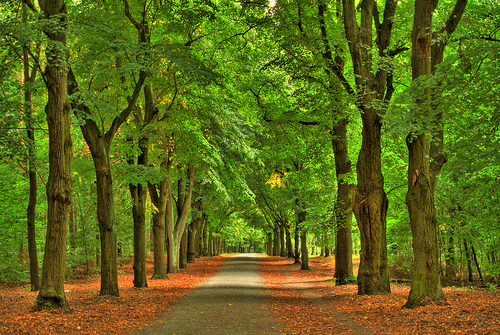 Grunewald is a forest located in southwestern Berlin, in the Charlottenburg-Wilmersdorf district. The River Havel borders Grunewald on its western side. Most of the trees are pine, birch, poplar and acacia. This park used to be designated as a royal hunting reserve, and it contains animals like birds and deer. There are a few nice lakes within these woods, as well as a handful of cultural sites like a tower and old hunting lodge. 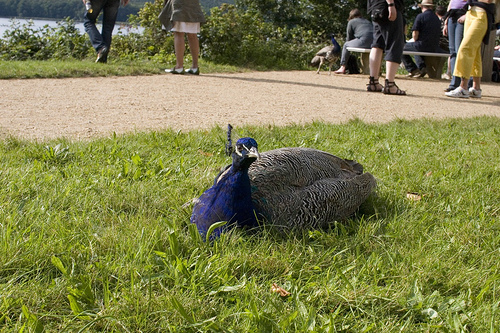 Peacock Island (Pfaueninsel) is an island of about 242 acres, located on the River Havel that is in southwestern Berlin, near Potsdam. It is a World Heritage Site that is a popular place for people to take ferry boats and have day trips. A bunch of free-range peacocks roam around this island, and there are some other interesting birds and beautiful flowers. The main attraction of this island is the palace and surrounding gardens. 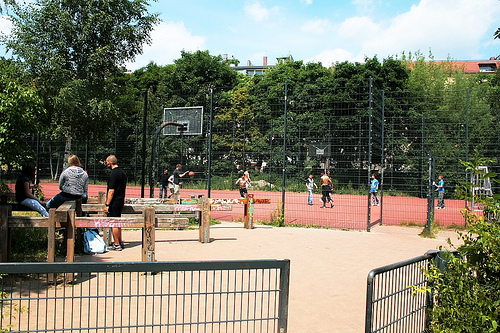 Located in eastern Berlin, Volkspark Friedrichshain is between the Friedrichshain and Prenzlauer Berg districts. It has many facilities for various sports, like walking, skateboarding, inline skating, swimming and more. 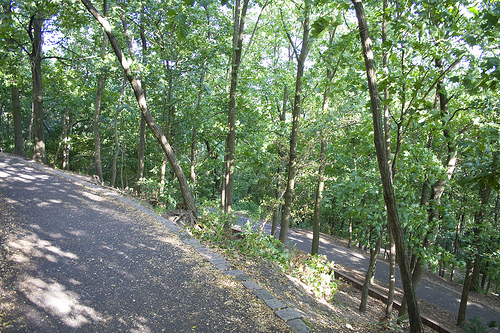 There is also a hill in the middle of the park that offers views of Berlin. Volkspark Humboldthain is in the Wedding district of Berlin, and it has risen areas on the northern and southern sides that form a slight valley in between. At the northern edge of this park exists a former World War II bunker that was put up by Nazis. Though the Allies tried to demolish it completely, this never happened, so today what remains is a historical attraction where people can also get nice views of Berlin. With its history aside, most people go to this park for walks and bike rides. There is also a big swimming pool, gardens and areas to have picnics, along with some climbing walls on the north side of the bunker.